This applies to M16A1 Rifles only. Drive out spring pin (9) using a 3/32-inch drive pin punch and hand hammer. 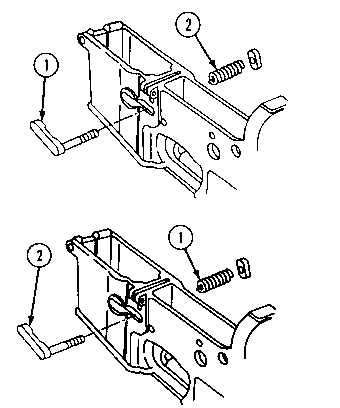 Remove forward assist assembly (10) and helical spring (11) from upper receiver (8). 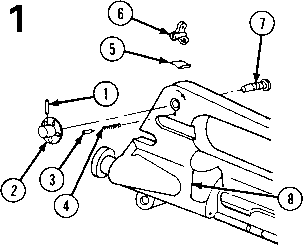 (a) Visually inspect rear sight parts (1 thru 7) for broken, bent, unserviceable condition or missing parts. Replace defective or missing parts. 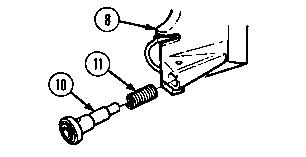 b) Check helical spring (4) for serviceability, prior to disassembly and after reassembly. Replace if defective. (c) Prior to disassembly and after reassembly, check that the flat spring (5) retains aperture sight (6) firmly in either position. Replace flat spring (5) if sight is not firm. 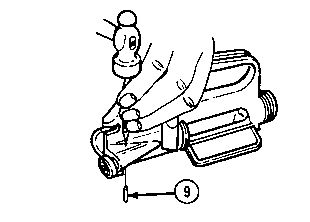 d) Check upper receiver (8) for cracks, corrosion, or mutilation. Repair or replace upper receiver if defective. Refer to page 3-26, inspection/ CLEANING. (a) To straighten bent rear sight guards (9), remove rear sight components. 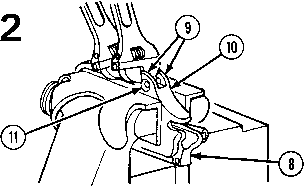 Place carrying handle (10) in a vise with top edge of vise at a point just below the windage screw hole (1 1 ). Tighten vise (11) to firmly hold upper receiver (8). (b) Using two eight-inch adjustable wrenches, gradually bend guards (9) to straighten. When bending the guards (9), gradually bend beyond the straight point, as the guard will partially return when bending pressure is stopped. (c) After straightening, use a flat file to remove any nicks, kinks, or burrs that remain on the inside of guards (9).